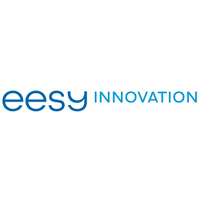 Profile: Eesy-innovation GmbH, founded at the end of 2015, works in the field of electronic systems design and develops sensor nodes and wireless communications systems. Its focus of the business activities goes to the development of products in the field of IoT for Smart Home, Smart Health and Safety and Security applications. Expertise and Role in CONCORDIA: EESY will contribute to the development, validation and demonstration of the CONCORDIA system in the tasks of specification of the hardware and software architecture for the wearable sensor platform and the overall CONCORDIA network architecture; development of the wearable sensor platform and aggregators firmware and software, including hardware peripheral configuration, hardware abstraction layers, communication stack and the application firmware; network system development and devices integration including security management; and as well, embedded hardware development and integration for intermediate demonstrators.